The immediate and future needs for those affected by Cyclone Idai meet the goals of the six pillars of Rotary service through fighting imminent disease and providing clean water. In the future, people in these stricken areas will require support through education and the building of local economies. 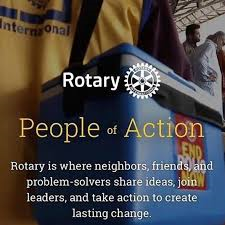 There is a role for Rotary! Rotary’s partner program, Shelterbox, has already deployed an assessment team to Malawi to determine what is needed and where. The team is looking at the importance of shelter kits, mosquito nets or water carriers to assist in the alleviation of the most urgent needs. Check out the Shelterbox Canada website for updates: https://www.shelterboxcanada.org/ . I entreat Rotarians to discuss this tragedy at the club level and consider your response. The decision is yours. Clubs in our District, either on their own or in cooperation with other clubs have done and continue to do great work in the world. The challenges are huge and our organization, which spans the world, is in a unique position to respond. We can make a difference and be an inspiration to others. On another topic altogether, Irene and I are really looking forward to welcoming you to Pictou County and our upcoming District Conference! Our team has put together a fantastic program. Inspirational speakers, training and FUN are all packed into the conference which starts at noon on Friday, May 10 and wraps up the next evening with our gala event. You will not want to miss our unique and instructive Professional Day training on Friday morning! If you haven’t already registered, time is running short. We are only six weeks away! See you at the conference! Women immediately embraced the leadership opportunities provided by their clubs and have been making an impact in communities around the world. Michelle Candland, a member of the Rotary Club of San Diego, California, USA, for instance, has been instrumental in moving a school for homeless students to a new facility. “If we as Rotarians lay the groundwork for other community members to build on, we can then accomplish any goal we set out to,” she says. On 4 May, the U.S. Supreme Court rules that Rotary clubs may not exclude women from membership on the basis of gender. 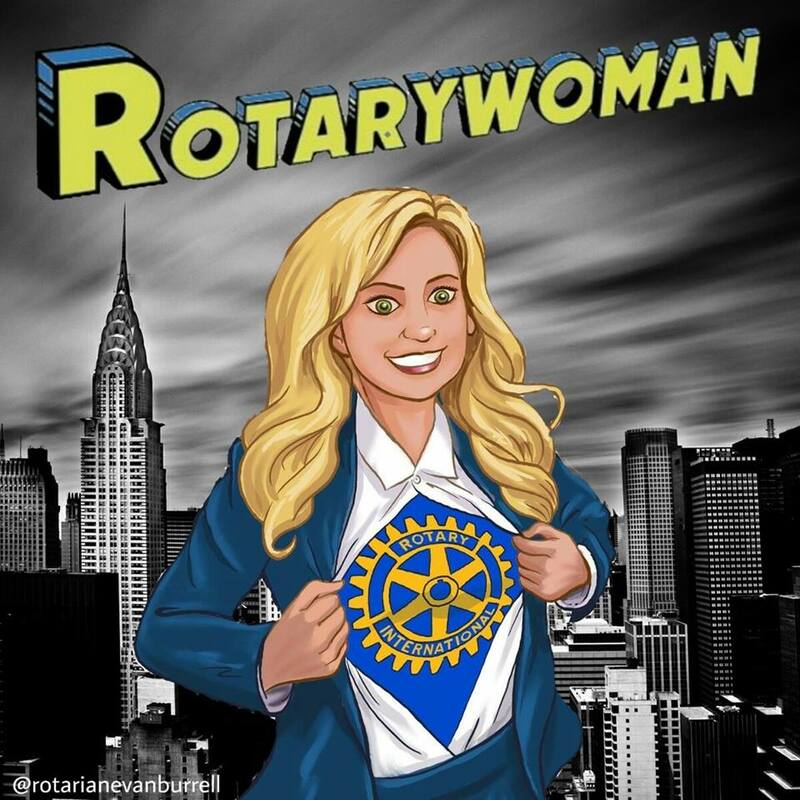 Rotary issues a policy statement that any Rotary club in the United States can admit qualified women into membership. The Rotary Club of Marin Sunrise, California (formerly Larkspur Landing), is chartered on 28 May. It becomes the first club after the U.S. Supreme Court ruling to have women as charter members. Sylvia Whitlock, of the Rotary Club of Duarte, California, becomes the first female Rotary club president. In November, the RI Board of Directors issues a policy statement recognizing the right of Rotary clubs in Canada to admit female members based on a Canadian law similar to that upheld by the U.S. Supreme Court. At its first meeting after the 1987 U.S. Supreme Court decision, the Council on Legislation votes to eliminate the requirement in the RI Constitution that membership in Rotary clubs be limited to men. Women are welcomed into Rotary clubs around the world. Reprinted from the Rotary International website. For the full timeline of the History of Women in Rotary, click here. Editor’s note: As we celebrate the 32nd anniversary of the U.S. Supreme Court decision on May 4, and the 30th anniversary of women in Rotary this year, why not share some of the accomplishments of your female members? Send them to me at alana.hirtle@cbdc.ca by April 20 and we’ll include a selection in our May newsletter. So far in 2019, we have had more applicants than ever before. That’s because our strong reputation is spreading. And our growth continues: we have ambitions to set up more centers by 2030 to bring the unique benefits of the fellowship to more young leaders. The peace centers are just one of the many endeavors of The Rotary Foundation. Think about all that Rotary does, from ending disease to helping communities develop their economies, and you think of The Rotary Foundation. So let’s support our Foundation to help keep sparking those ideas and to keep making the world a better place. We set a comprehensive fundraising goal of $380 million for the year, and with your help and generosity, we will get there. If you value supporting peace and increasing our Foundation’s impact, then I invite you to make an outright contribution today. I also invite you be part of Rotary forever by setting up an endowed fund and creating your Rotary legacy. As the value of your investment grows, your gift will reap benefits far into the future, in ways we cannot even imagine. Go to the convention speakers page for the latest list. In January, more than 7,000 convention registrants completed a survey about what breakout sessions they’re interested in. That helped us organize more than 95 sessions on topics ranging from cultivating positivity in your club to engaging refugee youths in Rotaract. Explore the preliminary breakout session list to find the ones that interest you. Convention registrants also helped us select the topics for our three-part Rotary Business School speaker series: teamwork, innovative thinking, and effective communication. Look for more information about the Rotary Business School and breakout sessions in the Rotary Events app in May. Register to attend host-ticketed events in Hamburg and experience the city like a local. 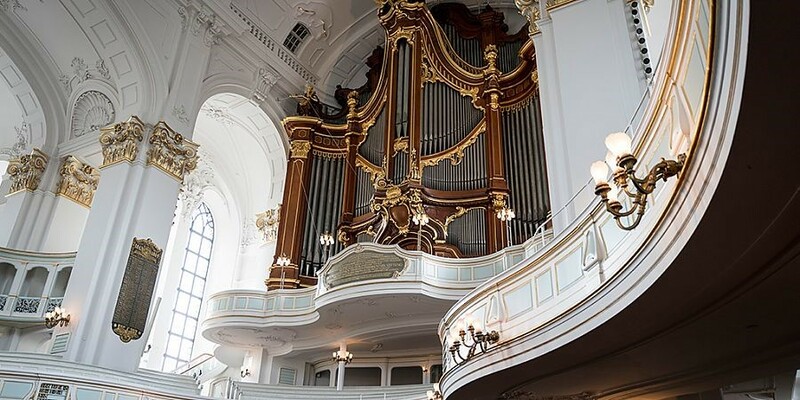 Check out the latest events, including a concert in the famous St. Michaelis Church, on the Host Organization Committee site. Attend the interfaith service Saturday, 1 June, 08:00 to 09:00, at St. Michaelis Church. St. Michaelis — or “Michel,” as Hamburg residents call it — is a city landmark and one of the most famous baroque-style churches in northern Germany. Come experience music and messages of peace from a variety of faith traditions. Their team is anxious to visit us in August 2019 (8th to 24th) and request that we return to visit them in September 2019 (10th to 26th). District 5110 has indicated that they would like to visit Newfoundland and St Pierre with perhaps Nova Scotia if time permits. 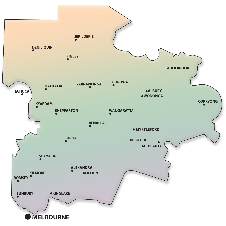 The second exchange is with District 9790 (Melbourne, New South Wales area of Australia). https://rotary9790.org.au or https://www.facebook.com/rotary9790 . They would like to visit us late September or October 2019 with our return visit late February or March 2020 (That’s their Autumn 😊. How was this past February for you?). District 9790 will exchange with areas in Nova Scotia and PEI whose members wish to participate. These have not yet been fully determined. We would like to hear from members and clubs to determine which ones would like to be the primary hosts for our visitors. For 2020 & 2021 exchanges, we are discussing with District 2223 in Russia and 5550 in Saskatchewan & Manitoba here in Canada. Details will follow soon on our RFE section of the district website. For more information or should you have interest in any exchange, please contact PDG Tom McCaughey at dgtom7820@gmail.com or (709)682-7259. The application form for participation in the RFE is located on the RFE link on our main district webpage. 2. Have you heard? The Canadians are coming? Charter Clubs, Calgary and Halifax have been invited to celebrate the Centenary and participate in inaugural Ralston-Davidson Golf Challenge, honouring the two Canadians who got the ball rolling for us! 3. How about a commemorative Stamp and Coin to be issued in 2021 by Australia Post and Royal Mint? What an exciting way to present the Rotary brand across the nation in 2021! 4. How good will it be to create a legacy by stamping out Trachoma? PRIP Ian Riseley and multiple Districts strongly support the campaign to stop this scourge on indigenous health unique to Australia. 5. Save The Date! Wednesday, 21 April, 2021. A Grand Event at a world class venue attended by dignitaries and vice-regal representatives, participants from anywhere across Australia/NZ and a rolling program of face to face events in multiple locations! Audacious? Yes, but our history is big and bold when we combine our energies! We are not only celebrating the Centenary of 4 Rotary Clubs but the Centenary of Rotary in Australia and New Zealand. This will create a platform for the next 100 years of Rotary Community Service! What is now on the horizon? Keep tabs on the schedule of events on the Rotary 100 Downunder Facebook page https://www.facebook.com/Rotary100downunder/ . Please share the news and excitement with others. When new ideas emerge, let us know and we will help spread the news. 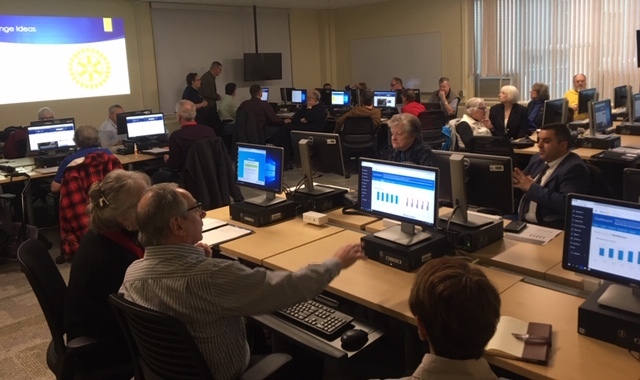 Members of the Rotary Club of Halifax are unique in that they pick one “not for profit” per month and participate in a project with them. What a great idea! It is truly the living of our goal of Service above Self. This club recognizes the value of working with other clubs in the HRM to support Hospice Halifax. The club also recognizes the importance of reaching out beyond our borders to support the work being done in Uganda through the Kangaroo Care Mbara project where mothers are encouraged to keep their newborns very close to their bodies to prevent hypothermia and possible death. The Rotary Club of Halifax is growing! It was wonderful to participate in the induction of five new members during my DG visit to the club. They are able to support their projects through the monies earned through their “Toonies for Change”. Concerned about the younger people in their community, the club supports the Edward Jost Children’s Centre and the Spryfield Urban Farm. This club has fun when they get together! Being the oldest club in the District is cause for celebration! Through the dedicated work of Rotarians within the Rotary Club of Halifax Harbourside, they were able to bring the Belanga family to Canada and it was such a pleasure to be able to join the club for the 1st anniversary of their arrival. Deeply involved in their community, club members serve supper to the folks at Soul’s Harbour Rescue Mission on a regular basis. Along with other HRM clubs, this club supports the establishment of Hospice Halifax. Members of this club really roll up their sleeves to take an active part in the annual Rib Fest held in early July of each year. Next time you are in Lower Sackville, check out the mosaic work on the walls in Acadia Park. Coordinated by the members of the Rotary Club of Sackville and Area, the artwork on the walls is a testament to community beautification possible through the work of Rotarians. From funds generated through their “Chase the Ace” program, they are able to distribute dictionaries to schoolchildren in the community as well as support their local library. Students at the Milford & Sackville High Schools start their day with a hearty meal provided through the breakfast program coordinated by the club.